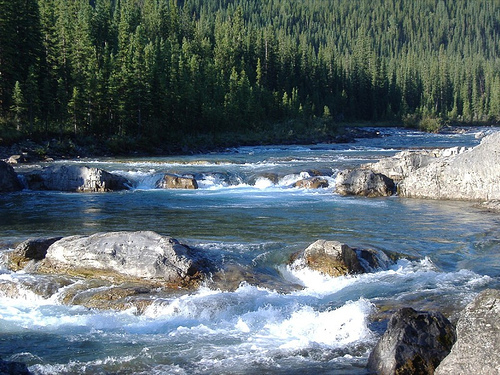 CALGARY, ALBERTA—Get on the whitewater with a rafting trip on the Elbow River in Alberta. The Elbow River is a popular choice for rafters and kayakers from Banff, Calgary, Edmonton, Jasper and the Canmore-Kananaskis area. Due to it’s short rafting season and fluctuating water levels, rafting the Elbow River is a real treat. Join us on a guided rafting tour, where you’ll spend two hours enjoying the scenic natural beauty of the Canadian Rockies! Only a limited number of Elbow river tours run every summer. So, don’t hesitate and book your Banff Rafting tour now!